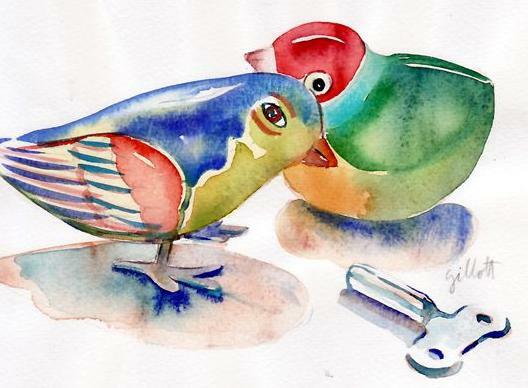 Love Bird, original art, 5" x 7"
Love Birds 2, 5" x 7"
And lush bouquets of red roses. The call is out for love birds. My love at first sight for a bird occured at La Musee des Arts Decoratifs a few years ago. Local birds are called upon for many odd jobs in Paris. 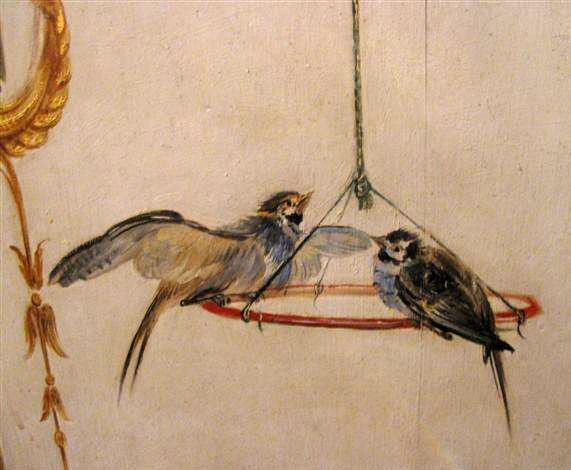 And lovely painted birds decorate many walls, like at Chantilly. 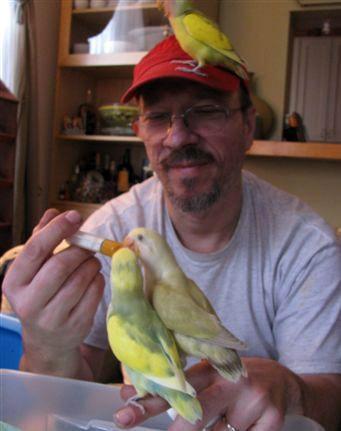 Downstairs my neighbor is completely round the bend with his new baby Love Birds. They require a lot of TLC too. This is my favorite bird painting in Paris is at the Musee Carnavalet. 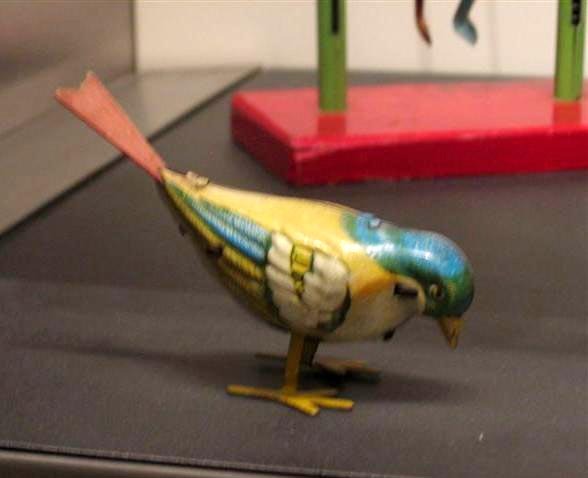 More Parisien oiseaux at Pylones - I've got one of these babies. 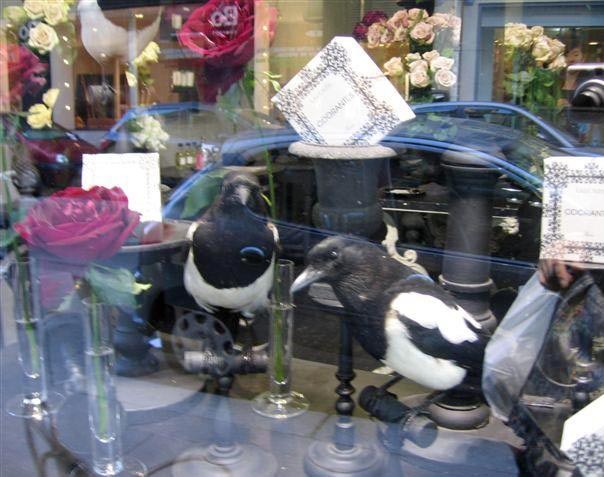 WHERE ARE THE REAL PARIS BIRDS? 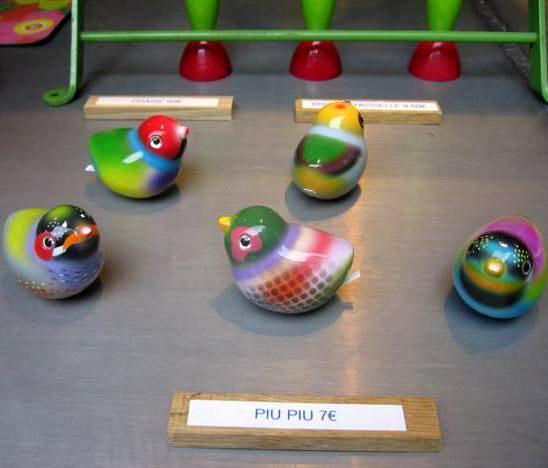 I paid 9 euros for my piu piu at a Pylones store in Avignon. You introduced me to piu piu, thank you. 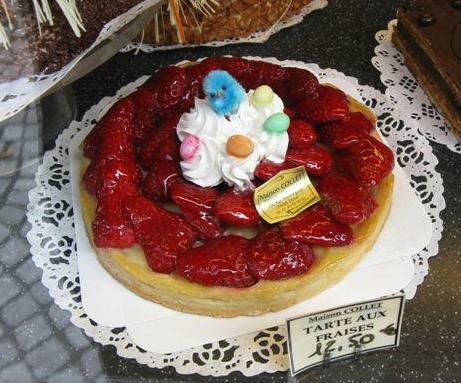 have you been to that bird market in paris? it's pretty amazing! Annechung, it's 3 years since I bought mine. Just bring a bag of peanuts, Carol--the birds go mad for them. Stand very still for a long time (this would be extremely difficult for you, I know this) and hold them out in your hand. "If you hold them, they will come." Love your Piu Piu and friend. They're my favorites, you know! 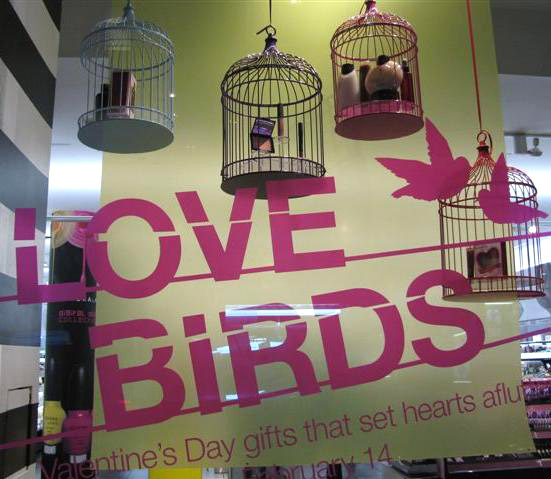 And your love bird is great!! i love the little piu piu guys. So adorable. There must be black birds and starlings in Paris. And Sparrows. You NYC guys don't look up. Pigeons. There must be pigeons. What a delightful series of bird images! THAT IS SO TRUE Annie!!! I have seen these giant Ravens/Crows/Blackbirds!!! 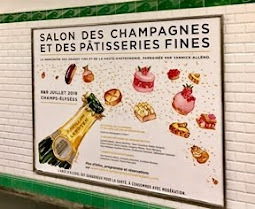 I get your paris breakfasts blog each day and was wondering if you could sneak some shots of small pastry/coffee shops. 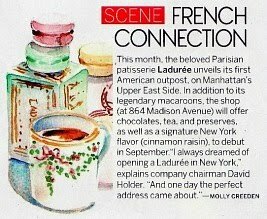 I am opening a cafe in the next several months and am looking for good ideas. My place will be tiny, 720sf, but will have the kitchen and cafe in it. So if you come across any good shops that have great use of their space please snap some shots for me! Thank you, looking forward to the next blog! I especially think the feet are appealing! moi aussi I love Bird. Adorable, I just love birds, don't you? the spring, you'll see bunnies, too. sparrows eating out of your hand. 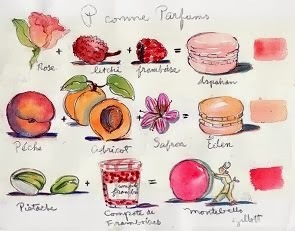 My favorite picture is the last one: miam miam, la tarte aux fraises! 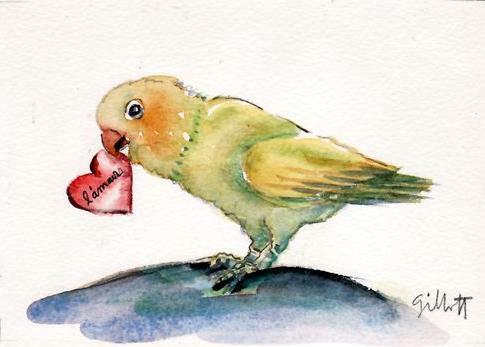 Love your Bird paintings. 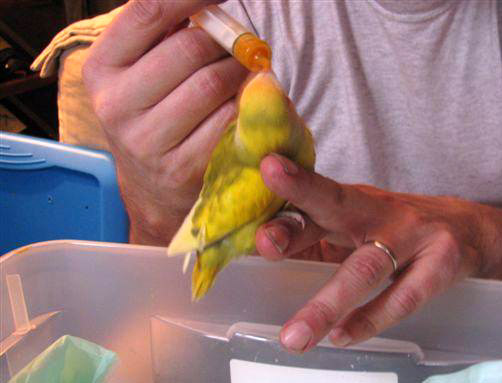 I really love the photos of your neighbor feeding the baby birds. That is adorable. My 2.5-year-old daughter on her first trip to Paris this w/e was very taken with the fat ol' pigeons strutting the Parisian streets. We also saw a whole host of teeny tiny birds in the trees and bushes around the children's playground near Notre Dame, but I've no idea what they were. 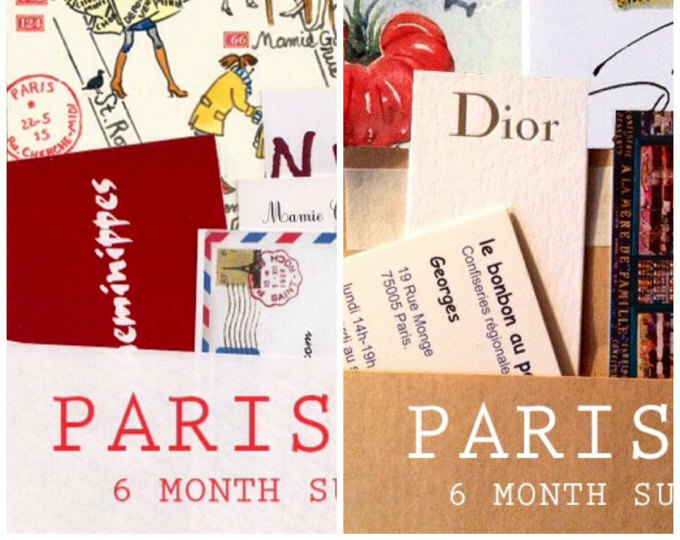 Would SO love to mooch around Paris with you ... Your blog is a joy. 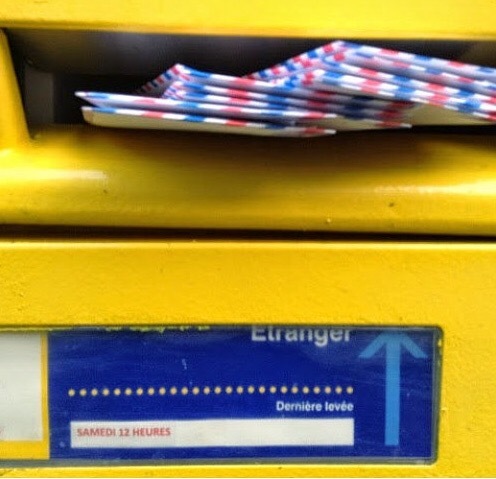 j'ai oublié de te les envoyer - is : I've forgoten to send it (to you)? Love this post. The birds are delightful! We have 2 big buzzards that fly over the field outside our cottage. Now they are big scary things not like love birds at all. you should try the bois de boulogne for lively -one piece- birds.